We decided to extend our #TolunaFriends contest to Toluna.com! Take a picture of you and your friend, upload it to Toluna. 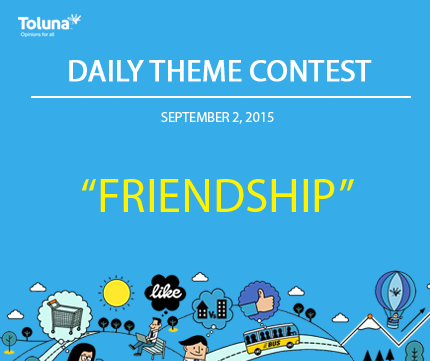 Or perhaps, create a topic and share a story about you and your best friend. *This contest will be open until Friday September 4, 2015 at 3pm EST.